The Knights need your help! OLF, led by the Knights of Columbus, hosts a soup supper each Friday during Lent. We need additional help with soups. If you can make a meatless soup to feed about 20 people and deliver it to the church by about 6:00 p.m. on a Lenten Friday, please contact Michael Majeres at 303.550.6632, or sign up at the link below. They proclaimed:"Blessed is the king who comes in the name of the Lord. Peace in heaven and glory in the highest. "Some of the Pharisees in the crowd said to him,"Teacher, rebuke your disciples. "He said in reply,"I tell you, if they keep silent,the stones will cry out!" Forty days have passed since we began this journey on Ash Wednesday. Forty days of living and of praying, which, I hope we will come to see -- if we have not seen already -- are not so much two different things as one and the same. Where were you forty days ago? What has happened to you in these desert days? Have you come to understand something new about yourself? About God? While we might have some new insights, our answers must always be provisional. There is ever more to learn, always deeper depths to explore. This week brings us face to face with the most urgent and compelling mysteries of a life of Christian discipleship. In churches the world over, people will gather -- ardent believers and those who are not so sure. Together we will watch again as the story unfolds. There will be feet washed, bread broken and wine poured out. There will be darkness and the valley of the shadow of death. And there will be, at last, an empty tomb. These are the signs that point to the foundation of meaning for all of life and for our lives. Who, finally, is this God, the God who created us and calls us beloved? These mysteries of Holy Week -- the washing, the meal, the crucifixion, the resurrection -- are our answer. It's not the sort of answer we might expect. It doesn't satisfy the scientific or philosophical mind-set. It's neither clean nor tidy. It's more a story than a solution. Yet, it compels us. It does so because in our souls, when we allow this story to penetrate, we recognize that it is not the story only of the man Jesus, but our own story as well. In the end, there is one story only. It is a story of falling and of being redeemed, a story of dying and living again. It is a story that is forever repeated and that we know from our quiet center, will never end. 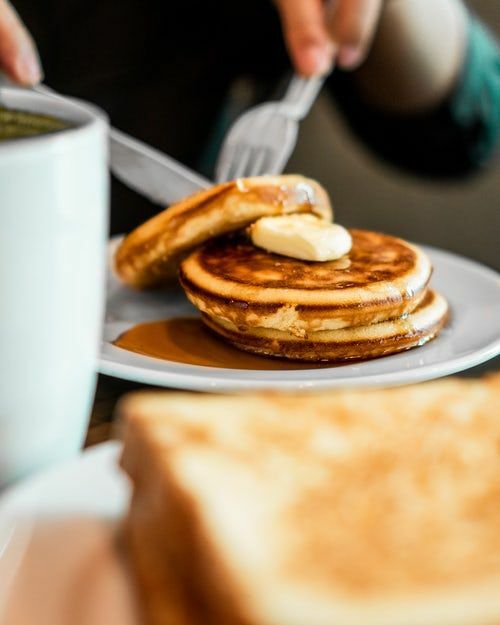 The next Knights of Columbus Pancake breakfast is Sunday, April 28, after the 7:00 and 9:00 a.m. Masses. Thanks to everyone who came to the Pancake Breakfast in March. We raised $616.00 for Knights of Columbus Council 9597 charities. The cost to attend the Knights of Columbus Pancake Breakfast is simply the donation you can make. 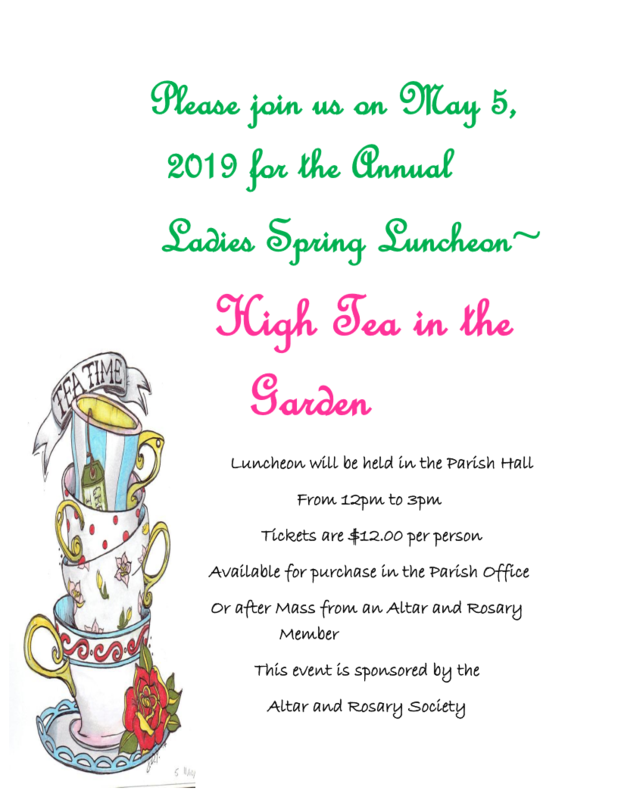 The April breakfast will be used to raise funds for OLF’s participation in Habitat for Humanity. Come join us in the Parish Center for some fellowship, a hearty breakfast! I am pleased to let you know that so far, we will be welcoming 24 new families with 30 children to our school next year! 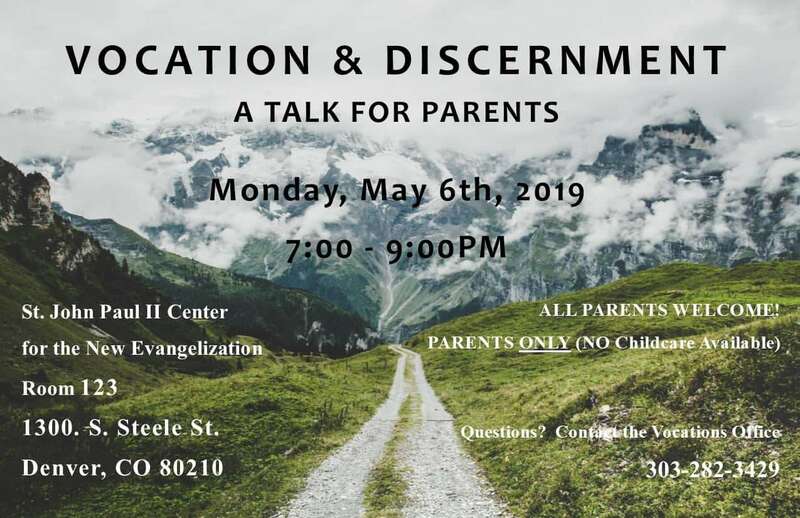 Please continue to let your family and friends know that we are accepting registrations for students in Kindergarten through 7th grade (8th grade if transferring from another Catholic school). Be sure to continue to pray for the success of our awesome school! Pray. Fast. Give alms. OLF School has a great opportunity for giving. 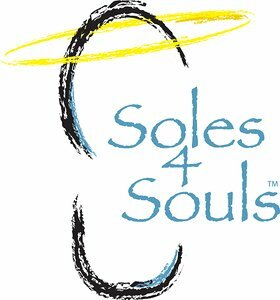 This Lenten season Fatima is partnering with Soles4Souls, a nonprofit that creates sustainable jobs and provides relief to poverty through the distribution of shoes around the world. Soles4Souls accepts all types of new and gently worn shoes including athletic, dress, sandals, pumps, heels, work boots, and dance shoes. Donation boxes will be located at the main entrance of the school from March 6 – April 18. Please take some time to go through your family’s old shoes to see what you can donate. More information at soles4souls.org. Let internationally renowned speaker and author Chris Stefanick help you REDISCOVER God, and REDISCOVER the life you were made for. REBOOT! is the fun, inspiring and practical experience for all (ages 12 and up), of applying the beauty and genius of the Gospel to every aspect of your life, from prayer and spirituality, to work, dating, marriage, parenting, health and more! 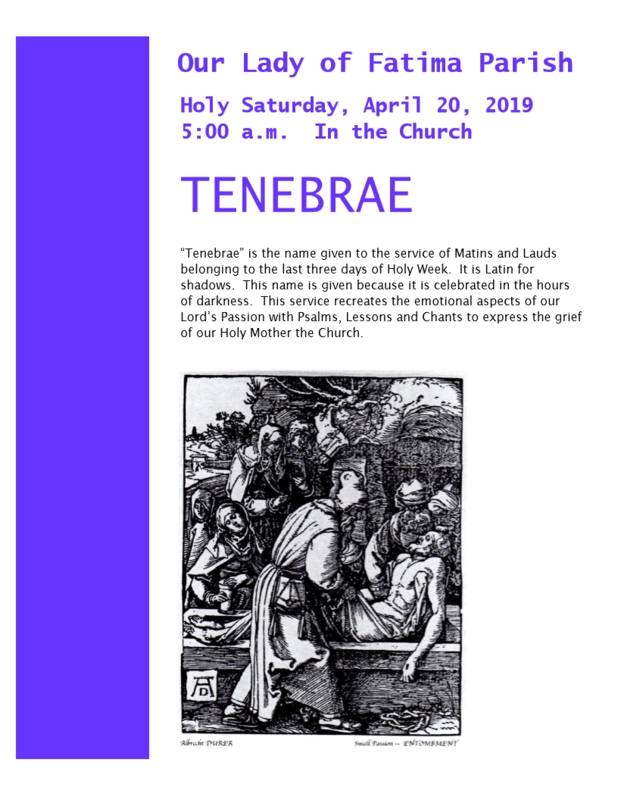 Stations of the Cross at 7:00 p.m.
Soup Supper at 7:30 p.m.
Holy Thursday Mass, April 18, 7:00 p.m.
Good Friday Service, April 19, 3:00 p.m.
Easter Vigil Mass, Saturday, April 20, 8:00 p.m.
Easter Sunday Masses, April 21, 7:00, 9:00, and 11:00 a.m., and 12:30 p.m.
Ladies' Spring Luncheon, Sunday, May 5, 12 noon - 3:00 p.m.
Parish Picnic, Saturday, June 1, 6:00 p.m.
Do you have news you want to share with the parish via Flocknote? 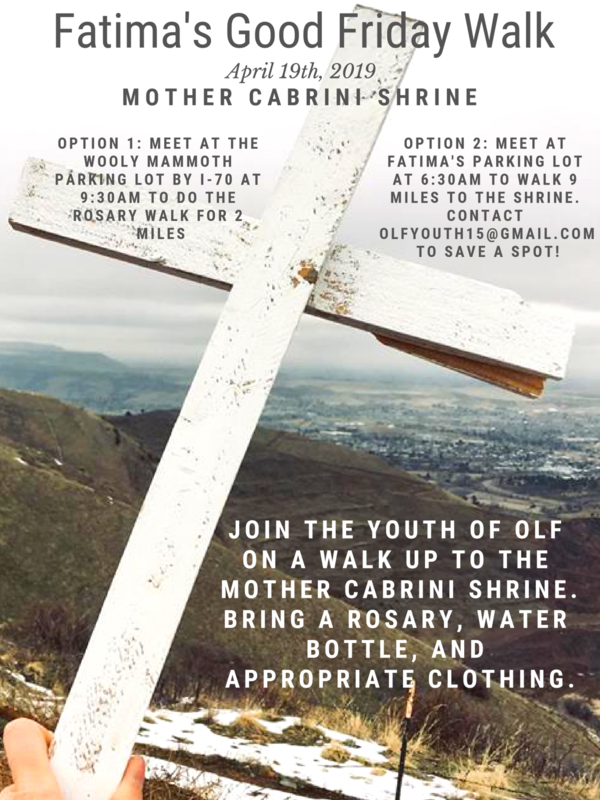 Email Chris in the RE office: csullivan@fatimalakewood.com. What If *I* Want to Take Over This Cool Newsletter? In case you haven't noticed, our parish uses Flocknote, an email and text messaging online platform. You are receiving this message because you're in our parish Flocknote group. We're glad to have you so we can keep you up-to-date on parish goings-on. 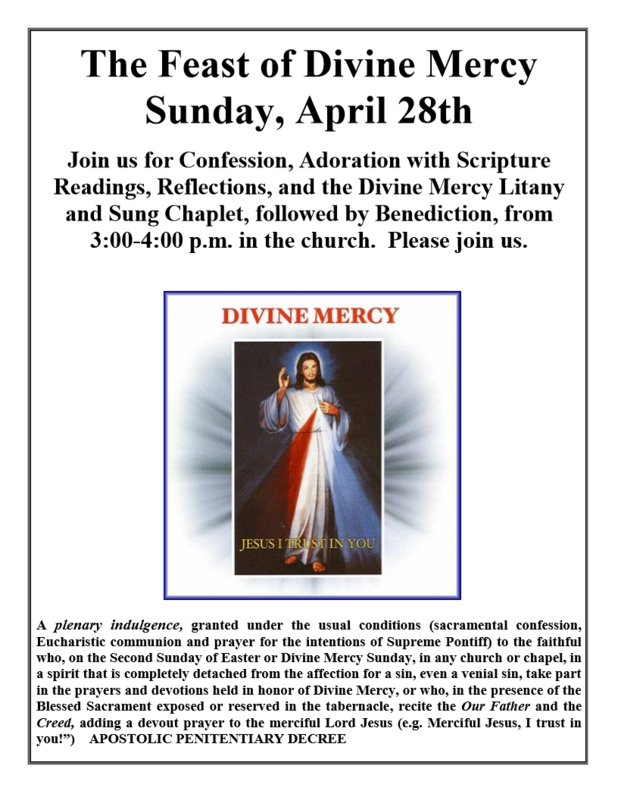 You don't have to do a thing, and you'll continue to receive regular parish news updates. Click below on my info. This will take you to your personal Flocknote account. If you've never been before, you might be asked to set up some log-in information. From here, you can opt in -- or out -- or particular parish ministries any time. Simply click unsubscribe below. If you received this as a text message, reply with just the four letters STOP. In either case, your email or cell number will be automatically removed from the group. 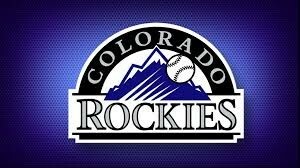 Contact Chris in the RE Office: 303-233-1283; csullivan@fatimalakewood.com.